← It’s been a long time…! 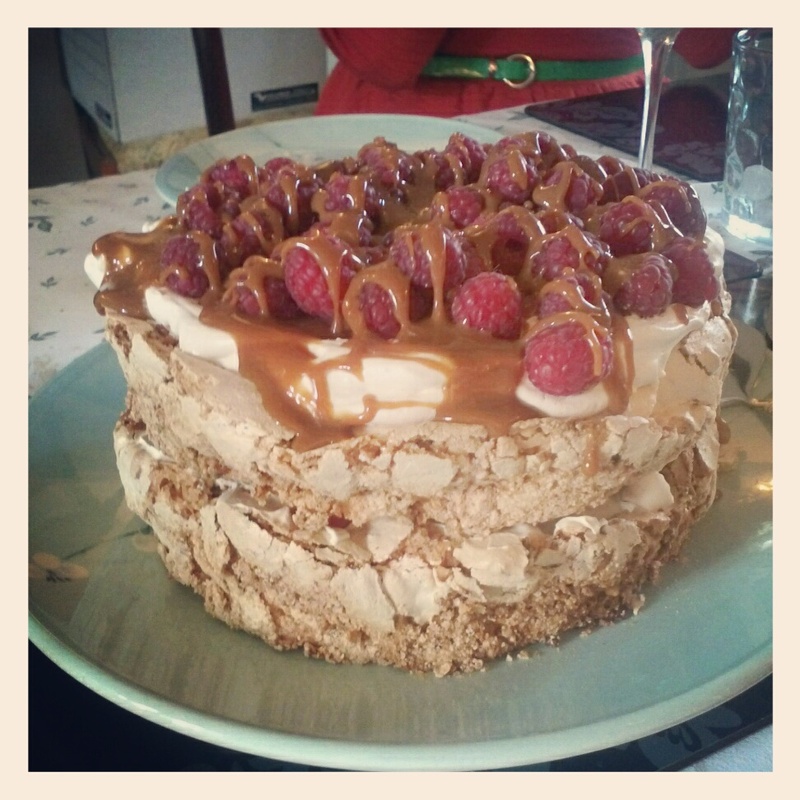 I promised I’d be back with the recipe for the amazing hazelnut meringue cake that we had over Easter, and here I am! Apparently Mum used to make them all the time when I was little, but then I think they fell out of fashion and everyone thought they were a bit naff. But I think it’s definitely time for a 70s revival! Apologies for the link to the Daily Mail – my mum didn’t get the recipe from the Mail but it’s identical to the recipe we used and I can’t find it anywhere else on the net! So here it is. We didn’t bother roasting and chopping the hazelnuts, we just bought bags of roasted and chopped nuts instead. 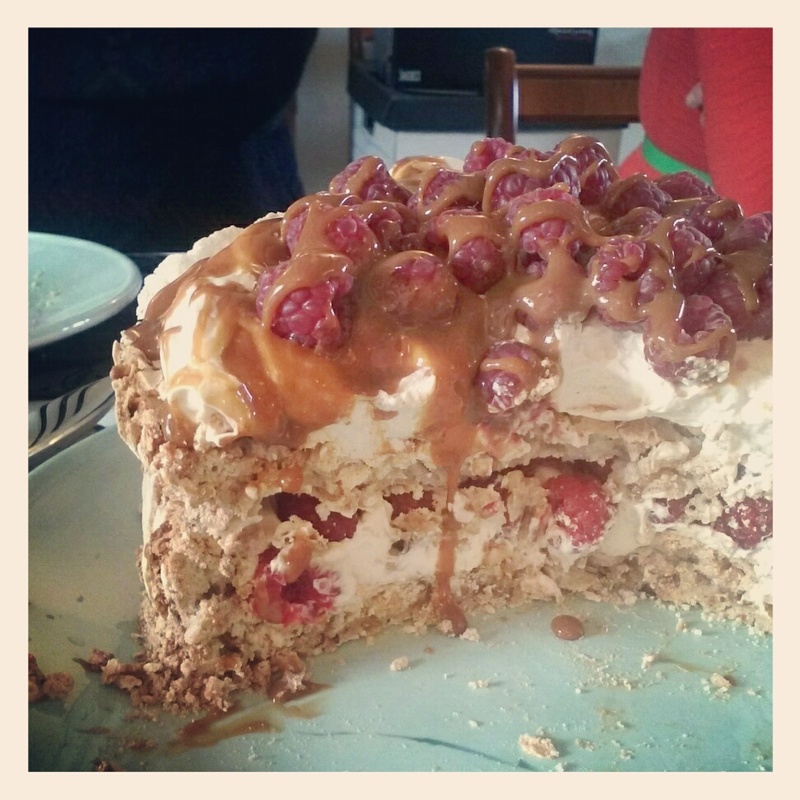 And we added our own little tweaks – we put some Frangelico liqueur in with the whipped cream, and we drizzled some gorgeous Dulce de Leche over the top. It was SERIOUSLY GOOD. Just look at it.